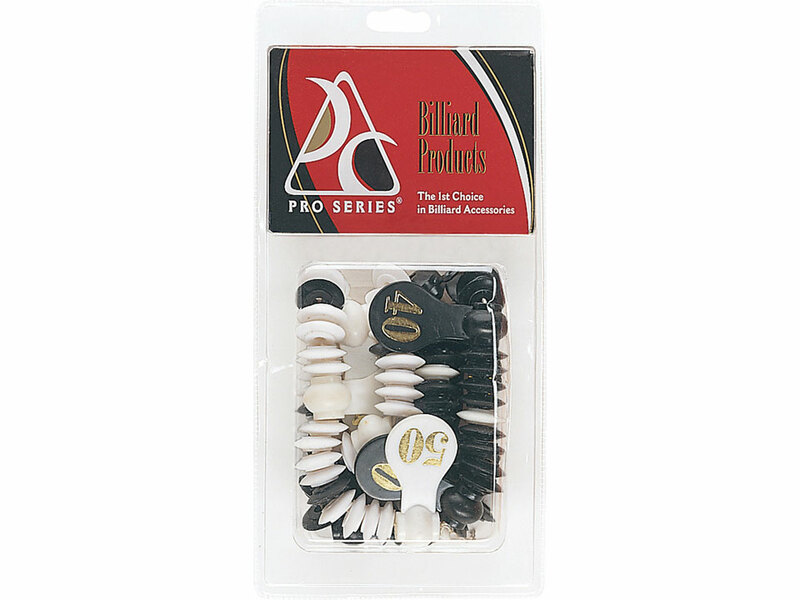 Pre-packaged plastic Pro Series scoring beads. Get a set of your own set of scoring beads to make score keeping for any pool or billiards game neat and easy! Hang either above your pool table or from the ceiling or wall. One player has the light scorers, the other player has black. The "tens" are noted with large markers, while the "fives" are noted with opposite-color beads. A single bead scores a single point. Use your pool cue to slide over the appropriate score.